Come and experience a guided saltwater fishing trip of a lifetime! 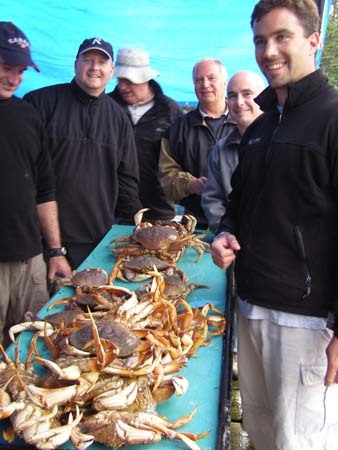 We charter from Prince Rupert, up the Pacific coast of Northern BC, north towards Alaska. The scenery is breathtakingly unforgettable and unspoiled. Fishing charters with Gord are a memorable experience. He puts the boat into the fish and you can angle for salmon, halibut, ling cod or red snapper. You may even do some whale watching while fishing and feed the Bald Eagles. 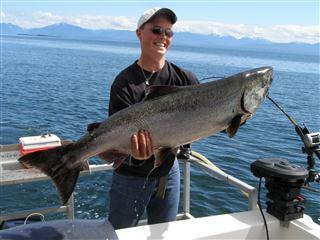 Come saltwater salmon fishing with a top notch Captain in this pristine fishing paradise off Northwestern BC’s coast. Salmon such as Spring or Chinook, Coho, Pink’s and Chum are in abundance. After catching your limit of salmon then it’s onto the halibut. May 7th to July 7th. The Average size is 35lbs to 50lbs. Prime time for Coho fishing is July 7th to September 30th. 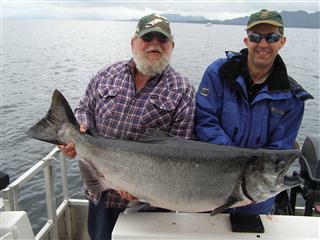 Book your charter for the world renowned Chinook King Salmon. These giants give you a fight you’re sure to remember. All our guests receive a Tyee Pin for salmon weighing over 30 lbs. 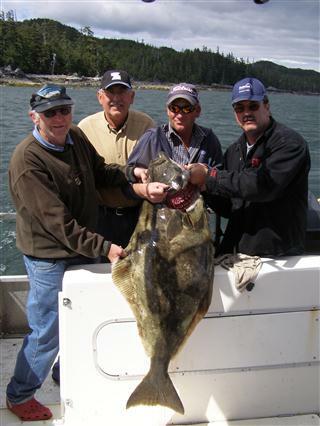 Come halibut fishing out of Prince Rupert, a city on BC’s north coast whose nickname is the halibut capital of the world, and enjoy watching the eagles on our halibut fishing charter boat. 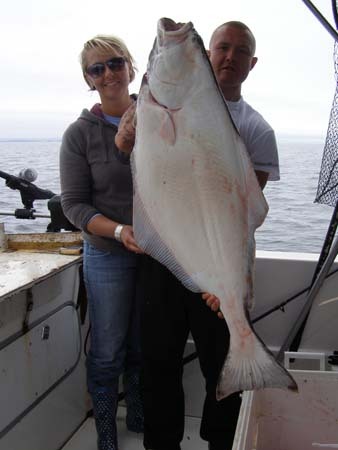 During one of our charters our top halibut caught weighed 306 lbs. Prime time is May 1st to September 30th. The average size is between 50lbs and 100lbs. 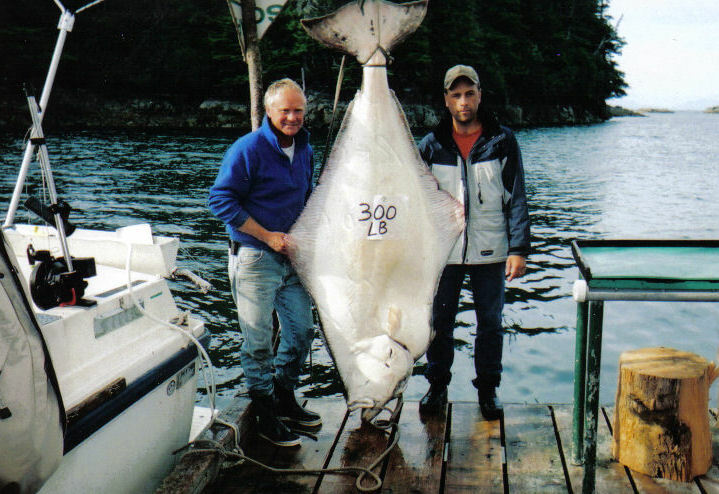 With the largest halibut landed weighing in at 450lbs! Fishing Trip Note:Seasickness is not fun. Remember to bring patches or non-drowsy tablets such as Bonamine. Anchor out in a remote bay 40 miles out. Crab feed 1st night out. ©2017 WaterWitchExcursions.com, All Rights Reserved.